This environmental services company provides filtration maintenance for indoor and outdoor gun ranges, an essential service since indoor firing ranges produce large quantities of airborne pollutants, including lead and noxious gases. Some of these airborne pollutants are toxic, and concentrations can easily exceed safe levels of exposure for workers and shooters. The Permissible Exposure Limit (PEL) for lead per OSHA standards is 50 micrograms of lead per cubic meter of air (50 μg/M3) as an eight-hour time-weighted average. In addition, failure to comply with EPA, OSHA, and DEP regulations can result in significant fines for range owners. Indoor gun ranges generally require a system of filtration that includes prefiltration, secondary filtration, and HEPA filtration. This environmental services company was experiencing issues with the type of pre-filtration filter being used at that time. A filter with a longer life span and higher dust holding capacity (DHC) was needed, so that changeouts would not have to occur so often. The frequent changeouts with this prefiltration filter were costing the environmental services firm a significant amount. 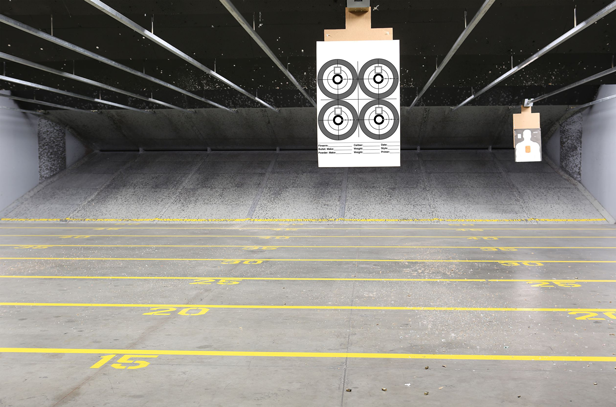 Typically, the service life of a prefilter in an indoor firing range can be as short as two weeks. Due to frequency of changeouts, extending the life of the first stage filters offers the most dramatic reduction in employee exposure to contaminated filters, in addition to cutting costs. Reduction in the rate of changeouts also diminishes environmental impact. AAF Flanders’ representatives had several meetings with the environmental services company in order to explain the advantages of the MEGApleat® M8 filter versus the prefilter then being used. One advantage is that the MEGApleat M8 filter has the highest DHC of any MERV 8 filter in the market. Uniform size fibers are assembled in closely controlled blends to create a media that is consistent in performance. This promotes maximum airflow and DHC. Low pressure drop and high DHC translate to reductions in energy consumption and operating costs. The MEGApleat M8 filter is also extremely strong and durable under difficult operating conditions. The media pack is bonded to the frame at all points of contact, using moisture-resistant adhesive. This bonding prevents dirty air bypass and promotes even airflow through the media pack. 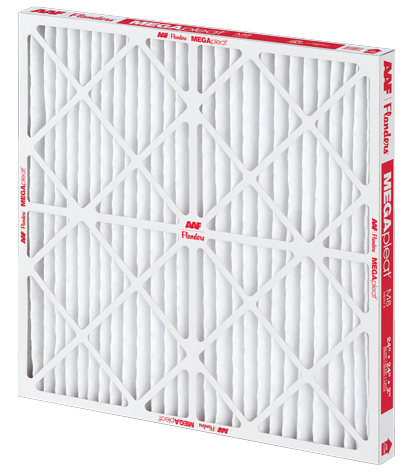 The MEGApleat M8 filter construction process results in a filter which is very stable, with no racking or vibration of the pleats under normal airflow. Pleat stability minimizes the chances of captured particulate shaking loose and re-entering the airstream. The environmental services company tested a few MEGApleat M8 filters, then placed an initial order. These filters have been lasting 30% longer than the previous filters used, saving the company time in the number of trips required to replace filters for their customers across the southeast area of the country. With fewer trips needed, this company also saves on their Total Cost of Ownership (TCO). 3,540 MEGApleat M8 filters in total have been ordered so far. The environmental services firm has been so happy with the performance of these filters, that they have also placed orders for AAF Flanders’ AstroCel® I and DriPak® filters. The MEGApleat M8 filter is the longest-lasting and strongest MERV 8 pleated filter on the market. Low initial resistance and high dust holding capacity requires less energy consumption, resulting in lower operating costs and energy savings. AAF Flanders, working closely with The National Institute for Occupational Safety and Health (NIOSH), developed a recirculating clean air system for indoor firing ranges. The result for our customers in this market is safe, clean air for practice and supervision, and substantial savings in cooling/heating. 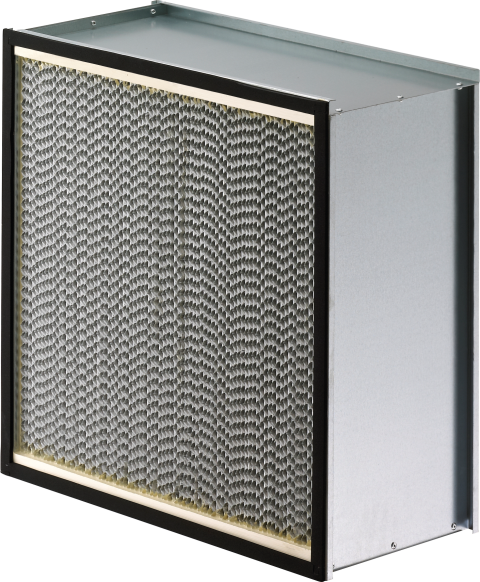 AstroCel I High Efficiency Particulate Air (HEPA) filters are the most efficient air filters commercially available. They have broad application in cleanrooms and other areas requiring the very highest levels of contamination control.